Not everything happens in the kitchen! A little recap of what’s going on in my life beyond all the food. 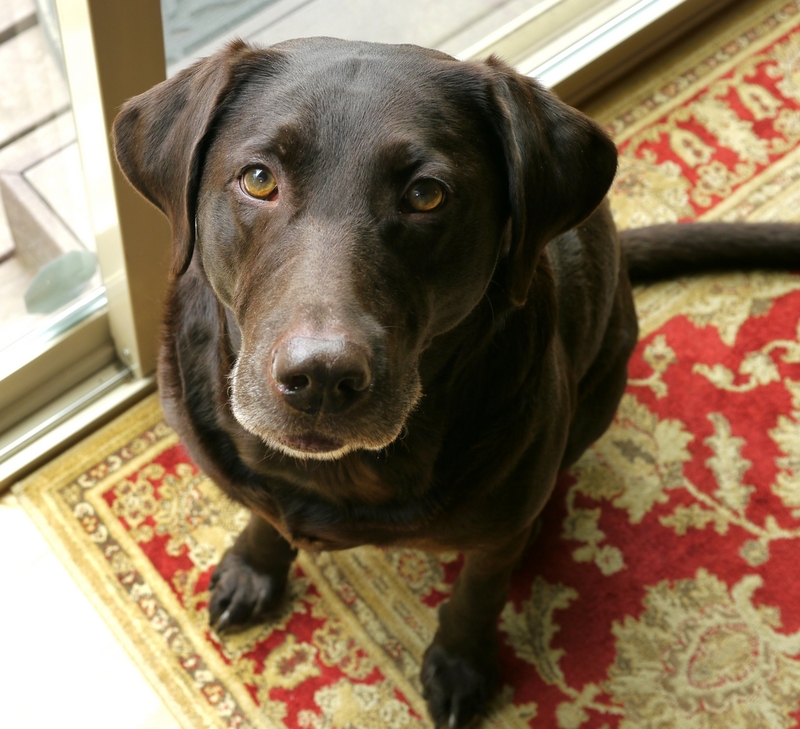 It has taken me some time to write about this, but we recently lost our sweet dog Sadie. Needless to say, I was not prepared. I mean, we are never really ready to lose a beloved pet, but this was honestly quite unexpected. 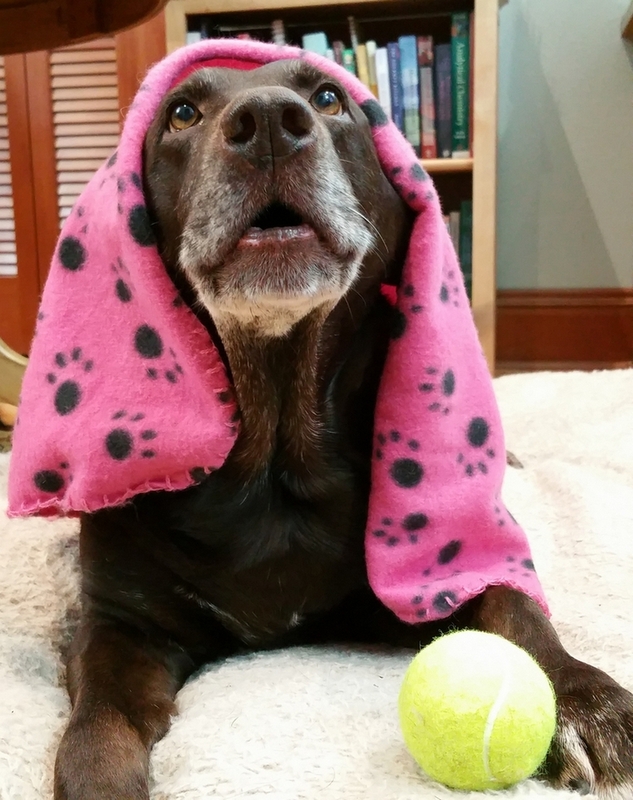 She was a couple of months shy of turning twelve years old and has always been healthy, happy, full of energy dog. In fact, we kind of thought she just had a stomach ache from eating too much spring grass (as she does every year). She kept acting lethargic and then bouncing back over those last few days; still willing to chase a ball (the ultimate test of a dog’s health) and drink lots of water. We really thought she was going to be okay. She had an appointment for the vet, but ended up passing here at home in the very early morning hours. I’m convinced the universe gifted me that moment with her and I’m so happy I was able to be with her as she peacefully made the transition. However, losing a pet is hard. It’s honestly one of life’s most heartbreaking moments and the grief does not fade away quickly. I didn’t even realize how much of my daily existence revolved around caring for Sadie or just how much she was my shadow, following me around the house as much as she could. I’m still working on my new daily routine. I will miss all of our daily walks together, the ones where she barked at me incessantly until we walked out the front door. There was absolutely no getting out of that walk regardless of the weather. It was basically my exercise plan. 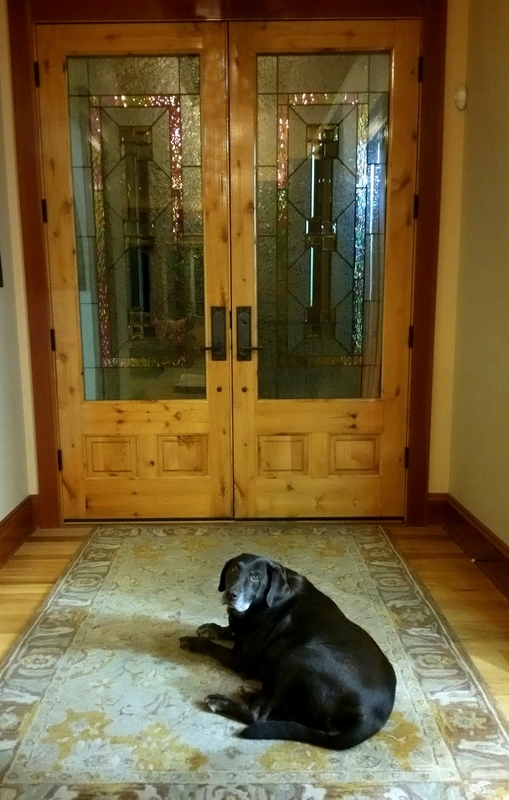 I will miss her waiting by the front door every night until both boys were home. She would not leave this spot until each kid gave her the amount of attention she felt she deserved. And I will especially miss her being a complete goofball and making our family smile and laugh everyday. If you’ve lost a dog, this story will help you feel better. 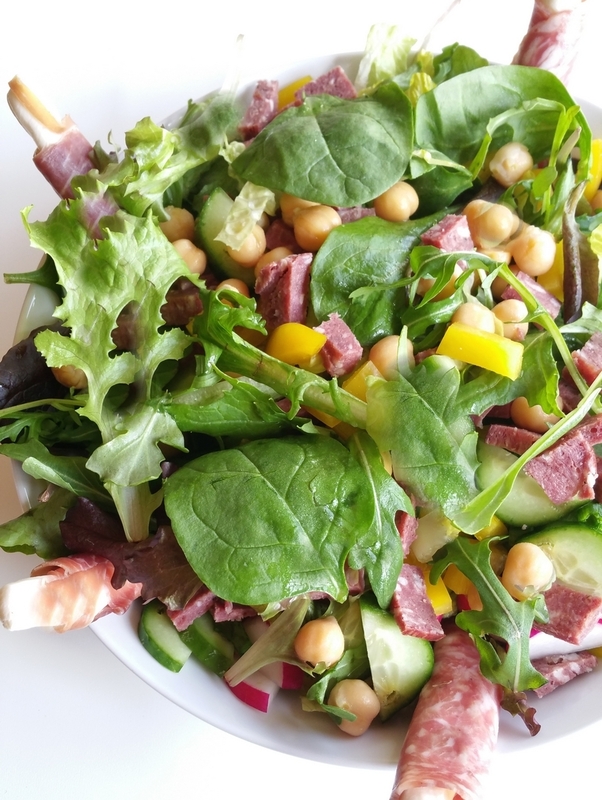 I am currently obsessed with chopped salads, like the one you see above, topped with this dressing. Best lunch ever. I love that they are calling this a lifestyle! Baking tip: Instead of using the usual tines of a fork or the bottom of a buttered glass to imprint and flatten my cookie dough, I often use the textured side of a meat mallet instead. 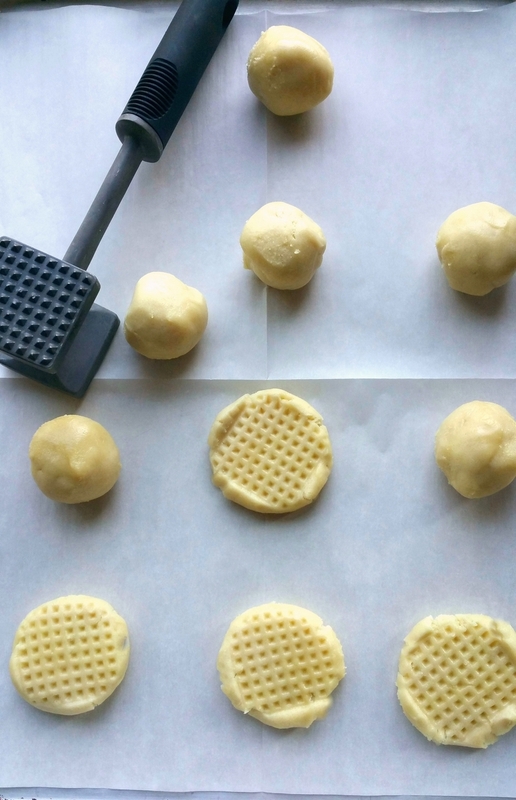 It works perfectly and leaves a flattering pattern on the cookies. I’m currently cooking from these two amazing new cookbooks, this one and this one. I highly recommend them for their easy, delicious recipes and beautiful photography. This is a big yes for me. I’m ready for it to be summer and I’m obsessed with this dress and these sandals. Time to splurge. This is going on my dinner menu this week. What’s new this week? The best dessert ever along with a super healthy snack. Do you love to crochet? Think about making this for someone. Monday, April 16th, is the Day of the Mushroom. I highly suggest making this. Looking for some new low carb snacks? These are ones I like to make and this is one I buy and can’t live without (so good). See more Bites of Life posts. I am so very sorry about Sadie. Glad you have some sweet pics of her- she was a beautiful dog and family member. I’m so sorry for your loss. Your tribute to Sadie was eloquent and moving and brought to my mind the losses of our pets over a long period of time. For a number of reasons, we never gained another one after the passing of our last dog but even now, more than a decade later, I still miss her sweet presence. I completely agree that being with our loved ones, even pets, when they transition is a gift. Wishing you my best. 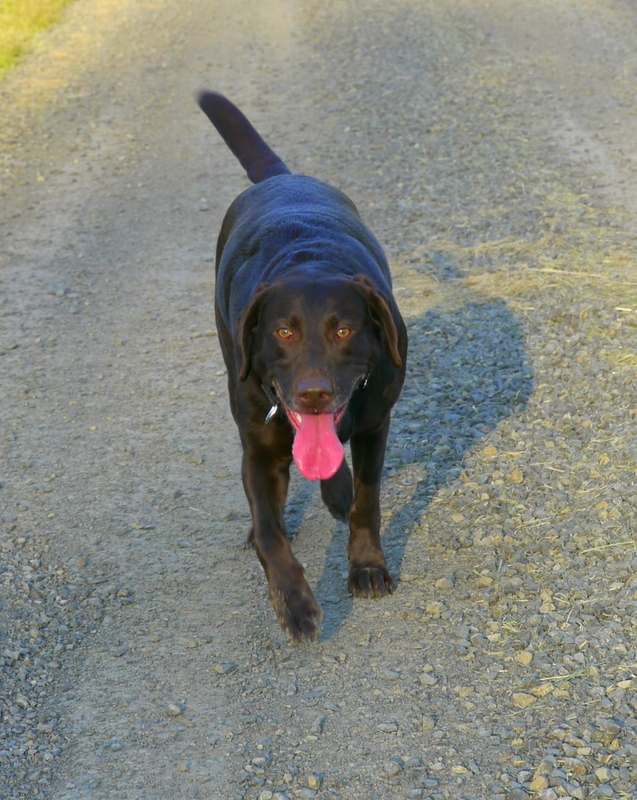 My heart breaks for you… we too lost our buddy Bogey last year… I find comfort in knowing he is romping and playing with other new friends in doggy heaven… they are truly the ultimate companion … unconditional love and loyalty!!! Time heels but it’s still hard 😢hang tough!! Yes, it foes get better with time. Takes a while! Sorry for your loss too, it most certainly leaves a hole in your heart. Your post almost brought me to tears. After 25 years of being asked, “can we get a dog?” We did! We’ve had mini Goldendoodle Oscar for only 1 1/2 years, and at 41 lbs. He ain’t so mini! I can’t think what it will be like without him. My deepest sympathies to you and your family. Thank you, enjoy the good times with your pup. Sending you hugs! These beloved fur babies bring so much to our lives. My fur boy is about the same age as your Sadie, and I’m grateful for every wet nose in my side, the begging for a walk morning and night and of course, his wonderful snoring! Peace my friend. They definitely bring a lot of joy. Thank you. What a sweet pup-it is so heartbreaking. I am glad she was able to pass at home. So very sorry for the loss of your beloved pup. We too lost our dog – from the exact same symptoms. We had no idea that a tumour was bleeding…then healing…then bleeding…until it became too much for our girl. She slipped away while we were on vacation in Scotland and never got a chance to say goodbye. My heart still grieves painfully almost 3 years later. I read that article you tagged – big BIG ugly cry. But so very true. They do own our hearts. I’m so sorry you lost your Sadie. It sounds like she might have had hemangiosarcoma – we lost one of our golden retrievers to that. It is a silent killer – rarely found before it’s very serious. I know you will miss her greatly. Thank you, I will look that up. We lost two dogs in Nov. of 2016. If was heartbreaking and I doubted if we would ever own another dog. The pain was too difficult. B-U-T, last Christmas my daughter surprised me with TWO 6-week old puppies. They are now almost 1-1/2 yrs. old and we treasure them. They fill the void Sophie and Sadie left us with to live with. . We were with both of them when they transitioned and that is the only way to say goodbye. I do to look forward to the day GiGi or Zoe leave us. Prayers to you, Cathy..
Oh I’m so glad you are enjoying your new dogs. And thank you. I’m so sorry you lost your beloved Sadie. It brought tears to my eyes as I know that feeling too. You. and the family gave her everything she needed and loved. I’m sitting here crying reliving last year when we lost our dog also. So many – wish they stayed around longer. Always think I can’t bare to do this again. It will get better! I’m sorry Ginny. It’s very hard. Cathy, Sadie will be in your heart forever. The blessings of her being part of your family will live on. So sorry to hear about Sadie. It’s so hard, especially in the beginning. I am so sorry to hear about the loss of your sweet Sadie. I lost my Great Dane in September and I’m still devastated….they are just so much a part of our lives. Hoping that with time, your pain will ease. Thank you and sorry about losing your fur baby. So sorry for your loss, we had to let go of our golden Lola who was 11. Poor thing struggled without our knowing it. She had a large cancerous tumor in her bowel . The kindest gift one can give their pet is to let them go. They just go to sleep, we suffer their loss. Her brother our Cooper has not been the same since Lola passed. Oh now we love 💕 our fur babies. Take care. Thank you so much. Thank goodness there are so many good times to look back on.